What is Crown Chakra Healing? The Crown Chakra – also called the Seventh chakra or Sahasrara – is located at the top of the head. It is the spiritual gateway and it is from here that all the other chakras emanate. The Universal life force flows through the crown chakra and down into the lower six chakras. The seventh chakra Sahasrara governs the pineal gland, central nervous system, brain functions, and the highest functions of the mind. The crown chakra is associated with the color Violet, the element Ether, and the sense of Spiritual connectedness. Sahasrara means ”thousandfold” and the crown chakra is often pictured as a thousand-petaled lotus flower; the Buddhist symbol of spiritual awakening and purity. It is the energy center of spirituality and pure consciousness. 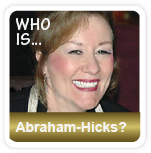 Many people who have a balanced crown chakra are humanitarians, visionaries, and inspirational leaders. The crown chakra is important in obtaining higher consciousness to fully understand that one is all and all is one. 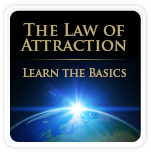 As you reach this higher energy state you will transform into the Divine and be able to be, do, and have whatever you want. Crown chakra healing is about open and balance the Sahasrara. Crown chakra healing will inspire you to pursue your individual life’s purpose. Healing the 7th chakra is also about intuitive guidance and health. Crown chakra healing will help you understand the warning signs that your body is sending you. Any life-threatening accident or disease can serve as a wake-up call to make changes in life. Crown chakra healing will release your inner resistance that is causing the ”dis-ease”, and inspire you to make changes that moves you towards your Divine purpose. Furthermore, many mental disorders can be helped with crown chakra healing, since the 7th chakra rules the brain functions and nervous system. If your crown chakra has been blocked for a longer period of time, problems in your physical and/or emotional health will arise. Headaches, migraines, and mental disorders are common sings of a blocked 7th chakra that will benefit from crown chakra healing. It will open the crown chakra, and balance this energy center. 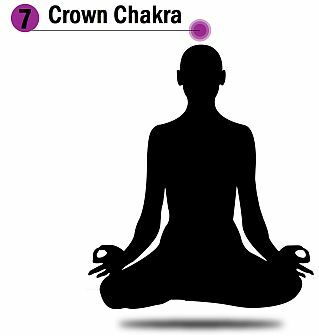 Crown chakra healing will heal the symptoms and the root problems that are related to an imbalanced 7th chakra, see more examples below. What kind of problems can crown chakra healing help you with? What are the signs of a blocked crown chakra? What can Crown Chakra Healing help you with? Crown chakra healing can help with problems on the mental and emotional levels. You will have mental clarity and feel relaxed and calm as your crown chakra is balanced. You will start knowing things ”intuitively”, connect with your higher wisdom, make wise decisions, allow your creativity to flow, and feel a great purpose in life with crown chakra healing. Also, your ego will disappear, your empathy for others will grow, you will act selfless, and you will be able to inspire and uplift people with crown chakra healing. Signs of a blocked crown chakra include: disorders of the endocrine system, dizziness, confusion, headaches, migraines, nightmares, worry, memory loss, depression, senile dementia, epilepsy, Parkinson’s disease, MS, mental disorders, amnesia, baldness, brain tumors, and cancer. However, always seek medical attention if you have any of these symptoms. 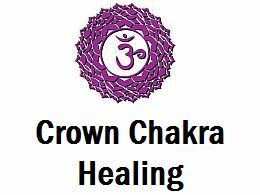 Crown chakra healing is a complimentary healing method and not a medical treatment. Do you need Crown Chakra Healing? If you lack mental clarity, feel confused, worried, tired, bored, depressed, or have nightmares, crown chakra healing can be very beneficial for you. It’s also a great idea to apply crown chakra healing if you are very sensitive to your surroundings and react strongly to environmental factors such as light and sound. Also, if you are extremely exhausted and this is not related to a physical disorder, healing your crown chakra can be worth a try. Crown chakra healing is really helpful if you want to become more mentally and emotionally strong. If you have problems making decisions and worry a lot, you may need crown chakra healing. It will open the crown chakra and you will have access to a higher consciousness, and thus be able to make wise decisions. You will feel an inner peace and purpose in life. An open crown chakra will connect to the Divine, and there will be no limits in what you can do with your life, as your 7th chakra is opened and balanced. Furthermore, crown chakra healing will inspire you to live in the now; in the presence of the Divine. You will let go of the past, and stop anticipating the future. You will just enjoy the present moment more with crown chakra healing. Signs of an unbalanced crown chakra on the physical level are headaches, migraines, dandruff, and premature baldness. If you have any of these 7th chakra issues, crown chakra healing can be of value. Do you have a balanced, deficient, or an excessive Crown Chakra? So, if you have deficient or excessive energy in your 7th chakra Sahasrara, crown chakra healing can help balance this energy center. We have gathered different healing tools for the 7th chakra that you easily can apply on your own to heal your crown chakra. The following techniques will open the crown chakra: crown chakra affirmations, crown chakra stones & crystals, essential oils, foods & routines, seventh chakra yoga, crown chakra meditation, and sound healing. Learn about the different healing tools and choose the ones that you prefer. A tip is to alternate between the healing tools to make the crown chakra healing process fun and fresh. It should never be “work” or “struggle”. Feel ease and flow as you apply these crown chakra techniques. Enjoy! Crown chakra affirmations can be very effective in healing the 7th chakra Sahasrara. As you apply crown chakra affirmations on a regular basis, you will start to connect to your 7th chakra and become more relaxed and calm in your everyday life. Affirmations for the seventh chakra will open you up to a higher consciousness and wisdom. Sustenance from the sun, air, and love is more important than the physical food itself, since the crown chakra is more “spirit” than “matter”. Drinking lots of water, detoxing, fasting, eating light meals, will also open and activate the 7th chakra Sahasrara. Furthermore, foods in the color violet can assist in opening and balancing the crown chakra since the 7th chakra Sahasrara resonates with this color. eating violet colored foods: red cabbage, eggplant, plums, goji berries, kidney beans etc. Yoga is a very effective in balancing the seventh chakra Sahasrara and is often used for crown chakra activation. The most powerful Yogic practice for the seventh chakra is seated meditation in lotus pose Padmasana. This pose will help you to your mind and connect you to your higher self and wisdom. The Corpse pose Savasana is also useful for crown chakra healing as it relaxes the body and mind. Furthermore, the yoga pose Supported headstand Sirsasana, stimulates the seventh chakra location and is therefore very beneficial for the crown chakra. The Lotus Pose, or Padmasana, is a great crown chakra healing pose. It will open your crown chakra, improve your concentration and bring inner peace. The Lotus Pose can also help with abdominal disease, female disorders, and can assist in preserving vital fluids in the body. The Corpse Pose, or Savasana, is a pose of total relaxation. It relaxes your body and mind, and your central nervous system. The Corpse Pose can improve your sleep, reduce insomnia, and fatigue. It can also help relieve stress, headaches, and depression. Solfeggio frequency at 936 Hz is the frequency for crown chakra healing. This frequency will activate the pineal gland and higher consciousness. You will connect to your Divine wisdom and power as you listen to this frequency frequently. Make sure to use headphones for optimal healing benefits. Enjoy!